The perfect getaway for a romantic vacation as well as family and friends, Mauritius is an island paradise in the Indian Ocean. With a multicultural, multilingual and multireligious nation, the people are unique and kind with great hospitality. With a tropical climate, Mauritius offers a natural paradise of vast green rainforests and beautiful natural beaches. Home to some of the world's rarest plants and animals, Mauritius was the home of a previously unknown species of bird, the dodo which is now extinct. 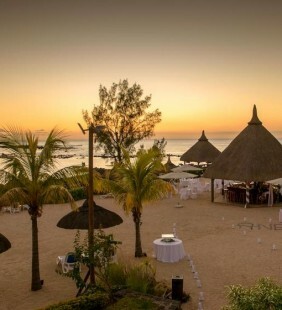 As both an English-speaking and French-speaking nation, Mauritius received the World's Leading Island Destination award for the third time and World's Best Beach at the World Travel Awards in January 2012. A 25 - hectare nature reserve which is a widely popular ecotourism destination, it preserves very rare remnants of the coastal forests of Mauritius and provides a sanctuary for a range of endemic and endangered wildlife species. Enjoy Mauritian nature with an expert guide and discover plants and animal, unique to the island such a the pink pigeon which was close to extinction for many years. Have a breathtaking view and the amazing things about this reserve is that all tours on the island and souvenir shop are reinvested in the restoration and preservation of Ile aux Aigrettes. Preserved for conservation and breeding, Vallee de Ferney is managed by the Vallée de Ferney Conservation Trust. You are able to discover the wonder of this natural habitat through guided tours or even use the hiking circuits run through the indigenous forests of the valley. If you are interested in wildlife and want a wonderful mini-adventure in a beautiful setting, then you will not be disappointed with the Ferney Valley. You have to see the wonders of the seven colored earth at Chamarel which is a natural phenomenon and a prominent tourist attraction whereby colors evolved through conversion of basaltic lava to clay minerals. With sunrise being the best time to visit, be amazed by the rolling dunes of multi-colored lunar-like landscape and the varied colors- red, brown, violet, green, blue, purple and yellow never erode in spite of torrential downpours and adverse climatic conditions. A national park constructed in order to save the natural vegetation of the island and it became one of the most important Mauritius sightseeing. The Black River Gorges National park protects most of the island's remaining rainforest and is home to many species of wild animals and birds including the Mauritian flying fox, Mauritius kestrel, pink pigeon, Mauritius parakeet, Mauritius cuckoo-shrike, Mauritius bulbul, Mauritius olive white-eye, Mauritius grey white-eye and Mauritius fody. In Mauritius, the power plug adapter is the Euro-styled 2- round-hole plug or UK 3 pin plug. Additionally, you should always connect to reliable electricity supplies (220V to 240V, 50 cycles). If you do not own any UK-styled plugs, a universal plug power adapter will be invariably helpful. Getting around in Mauritius is not difficult. There are buses everywhere and they are inexpensive. For a full day trip, you will be better off using a Taxi. Don't worry, you don't need any vaccinations when flying to Mauritius, however, a yellow fever vaccination certificate is required for travelers over 1 year of age who arrive from areas where yellow fever cases are reported. Awesome point about Mauritius is that public medical facilities are widely available and private clinics provide medical services for a fee so don't worry and enjoy your holiday!